Gerrymandering is a term only discussed in closed corridors by two kinds of people. The first group is the majority party of Pennsylvania’s House of Representatives and Senate which happens to be Republican at the current time, and the second group is the Democrats, who pleaded with the Republicans to make their districts safe during redistricting. When the Democrats are in power, reverse the scenario. What some voters may not know is that the Pennsylvania General Assembly is responsible for the drawing of new districts, not only for state leaders, but also for our federal leaders in the U.S. House of Representatives. Regardless of party affiliation, what is taking place during our decade census of population change simply does not reflect anything more than political re-mapping of the citizens’ districts. Ask yourself why a state like Pennsylvania has two million more registered Democrats than Republicans, but whose breakdown of federal representatives is 13 Republicans to 5 Democrats. If somebody can convince you that more Democrats are voting for Republicans because of a shifting political ideology, I’d like to be present for that debate. Seventy-three percent of Pennsylvania’s representatives are Republican in a state with, again, two million more registered Democrats than Republicans. Our United States Senate can’t be redistricted, because our senators are elected by their entire state. Even the most gifted cartographer can’t establish political control through gerrymandering in the U.S. Senate. And because they can’t, our United States Senate is a much more realistic illustration of the populace’s voice. Now look at Pennsylvania again and our 18 members of the U.S. House of Representatives. If redistricting were truly about population change and not political control, we would not have such a significant disproportion between party-affiliated registered voters and what party is actually being elected. I think it’s time in the Commonwealth of Pennsylvania to begin studying ways to better align accurate population shifts through the passage of an independent redistricting agency, far away from party politics. One day soon, gerrymandering could have significant implications on both our federal and state policies. What all of us should want in our state and country is the truest form of representation based on the truest form of the populace. We are approaching the complete opposite effect because we continue to play politics with the truth. A native son of Dunmore and one of four children, Rep. Kevin Haggerty is the child of an educator and the product of a strong, hardworking middle-class family. Kevin's legislative priorities include funding for public education, children and youth issues, workers' rights, veterans' issues, building strong communities through public service, healthy economic development for small businesses, property tax reduction and responsible hunting and environmental laws. 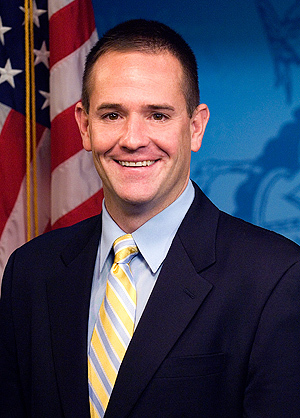 Kevin graduated from Dunmore High School in 1991 and went on to college at Villanova University, earning a bachelor's degree in political science in 1995. Previously, Kevin worked as a learning-support teacher in Philadelphia and was a counselor and coach for the Youthful Offender Program at Stillmeadow Detention Facility. He was a board member on Penn's Northeast and NEPA Alliance, which is tasked with creating and strengthening regional business. He also served as an outreach organizer for humanitarian efforts and low-income housing projects in the United States, Peru, India and Ireland. Prior to taking office, Kevin was a liaison for Lackawanna County to local governments, community groups and colleges.